Light-activated nanoparticles, also referred to as quantum dots, can provide a vital boost in effectiveness for antibiotic treatments used to fight drug-resistant superbugs such as Salmonella and E. coli, a new CU Boulder research reveals. Multi-drug resistant pathogens, which evolve their defenses quicker than new antibiotic treatments can be created to treat them, cost the US an estimated $20 billion in direct healthcare costs and a further $35 billion due to lost productivity in 2013. 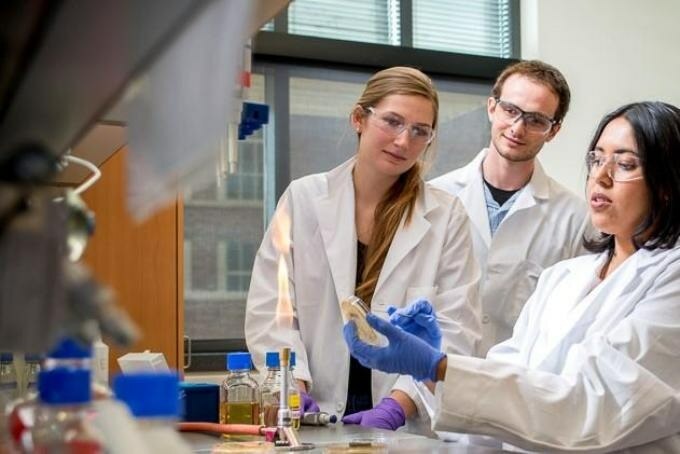 Researchers at CU Boulder, however, were able to re-potentiate current antibiotics for specific clinical isolate infections by launching nano-engineered quantum dots, which can be deployed selectively and triggered or de-activated using particular wavelengths of light. Instead of fighting the infecting bacteria conventionally, the dots discharge superoxide, a chemical species that impedes with the bacteria’s cellular and metabolic processes, activating a fight response that makes it more vulnerable to the original antibiotic. The findings, which were published on October 4th in the Science Advances journal, reveal that the dots decreased the effective antibiotic resistance of the clinical isolate infections by a factor of 1,000 without creating opposing side effects. While other earlier antibiotic treatments have proven too haphazard in their attack, the quantum dots have the benefit of being able to function selectively on an intracellular level. Salmonella, for instance, can grow and reproduce within host cells. The dots, however, are very small and can slip inside and help eliminate the infection from within. On the whole, Chatterjee said, the most significant advantage of the quantum dot technology is that it provides clinicians a flexible multifaceted method to fighting infections that are already straining the boundaries of present day treatments. Disease works much faster than we do. Medicine needs to evolve as well. In the days to cone, the research team foresees quantum dots as a kind of platform technology that can be scaled and altered to fight a broad range of infections and potentially expand to other therapeutic applications. The new study’s Co-authors include Colleen Courtney, Max Levy, Samuel Goodman, Pallavi Bhusal of CHBE; Corrella Detweiler and Toni Nagy of the Department of Molecular, Cellular and Developmental Biology; and Nancy Madinger of CU Denver’s Division of Infectious Diseases.